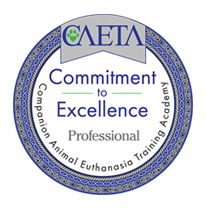 Pet owners frequently have questions about in-home euthanasia, pet loss, and other matters. Here are helpful answers to some of those questions. When Will I know it is time? Ability to eliminate in the routine places: It can be stressful to a dog or cat when they soil themselves or when they cannot reach their routine area for elimination (such as the backyard or litter pan). Take a few moments to sit with a friend or family member and evaluate your pet’s condition by reviewing the Quality of Life Scale. This scale is provided with the permission of its author, Dr. Alice Villabolos. Are there any preparations I should make before the vet arrives? There is no special preparation needed. You pick your pet’s comfort place and gather around the people you want to be present. Should my children be present during the procedure? All members of the family may need support and guidance when faced with the loss of a pet. How children cope during this time is of particular importance because their understanding of the situation will vary depending their age. Very young children do not understand death in the same way as adults. Parents may or may not want them to be present, but in either case it is best to inform them that their pet has passed and will not be coming back home. Older children do understand death much in the way as adults, so having them present for the procedure may be important as they were a part of their pet’s life. For all age groups including adults, having some type of memorialization of the family pet helps in coping with the loss and with closure. Should other pets in the household be present? Animals are more accepting of death than humans. Other pets in the household may not recognize the immediate change in their deceased friend, and instead they may be more interested in the surroundings. If other pets are calm and not disruptive they can be with owners during the procedure; but if they are rambunctious, they are best keep in a separate room until the procedure is completed. This will allow both the owners and the vet to focus on the pet in need. Once the procedure is completed, the owners can allow other pets into the area. Can DR 4 PETS perform services other than in-home euthanasia? At DR 4 PETS mobile veterinary service, the mission is to help pets in their final moments. Many calls are urgent and require the doctor to be available on short notice. When scheduling permits DR 4 PETS, can make home visits to assist pets that are near the end-of life but can no longer make the trip to the veterinary hospital. These visits are for “hospice care”, which includes pain management and supportive care to improve the pet’s quality of life. DR 4 PETS maintains a convenient online pharmacy for pet care needs. Visit the resource page for books and reference related to pet loss.